On occasions, repairs are required in one section of a major process furnace and it is not desirable to allow the rest of the process to cool down. Often there is fear of refractory failure if the process is allowed to cool to ambient and then return to process temperature. 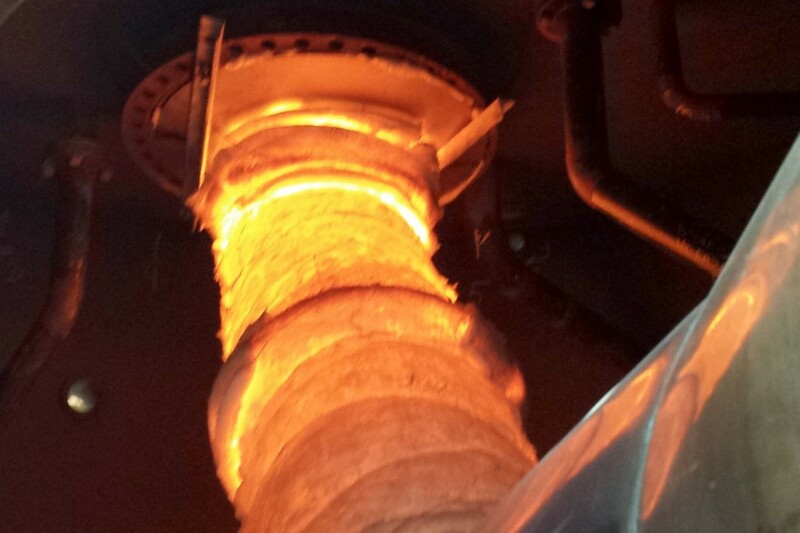 In these cases, Hotwork is called upon to provide temporary heat to keep a portion of the process hot while repairs are conducted on another portion. Examples of furnace hold hot activities include holding a glass furnace melter hot while repairs are conducted on a regenerator or holding blast furnace stoves hot while the stack lining is gunned. Hotwork’s portable combustion systems can be used creatively to assist plant owners to keep their processes hot while conducting repairs on a localized area.